 On Sunday 8th September Vision Wave Weddings was very pleased to film the wedding of Nina and Andrew. The day began at Trentham Parish Church, Staffordshire. After the ceremony we headed into the grounds of Trentham Gardens for the first part of the photoshoot. Their reception was held at Sandhole Oak Barn in Congleton. The Sandhole Oak Barn is a truly beautiful venue! It was wonderful to be a part of Nina and Andrew’s special day, and we wish them all of the luck for their future together! If you are getting married at the Sandhole Oak Barn and need a videographer contact us to book now.